Berlin’s River Spree is a sight worth seeing and the views from an English-language boat tour can’t be beat! Up in the air, where our thoughts are allowed to easily wander, I find myself regularly crying on airplanes — and what a wonderful feeling. With 32k participants, the 2015 Athens Pride festival for LGBT equality was the biggest one yet. Plus the theme “take a stand” was celebratory and political all at once. 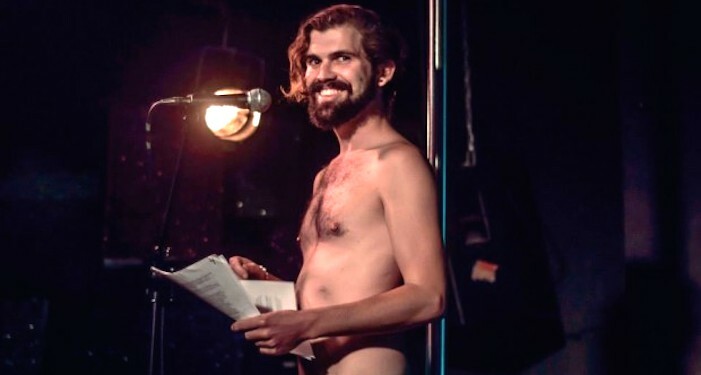 Photos and commentary about the Naked Boys Reading event in Berlin at Monster Ronson’s – which is exactly what it sounds like. We live in some pretty fantastic times. There’s a lot to see and do in the world. But we spend so much time trying to DO, we don’t often have time enough to THINK. When you open yourself up to new tastes while abroad, you suddenly come away with an added value to your trip. There’s the sightseeing of course, but then there are the meals. Living abroad as an expat in Berlin has changed me in more ways than I can even imagine. I speak differently. I think differently. I act differently. I’ve fallen in love, accidentally, irreparably with a foreign city and a foreign home. But it’s home. With Peaches, JD Samson, Hidden Cameras and countless drag, hip-hop and DJ acts, it’s a review of the first queer music festival in Berlin: Yo! Sissy. Photos from the travelling “In Infinity” art exhibition featuring the weird and wonderful works from Japanese artist Yayoi Kusama.